Los Angeles native Sean Krissman joined the Houston Grand Opera Orchestra as Principal Clarinet in 2014. Prior to his current appointment, Sean was a Young Artist with Da Camera of Houston and a member of Aperio, Music of the Americas. 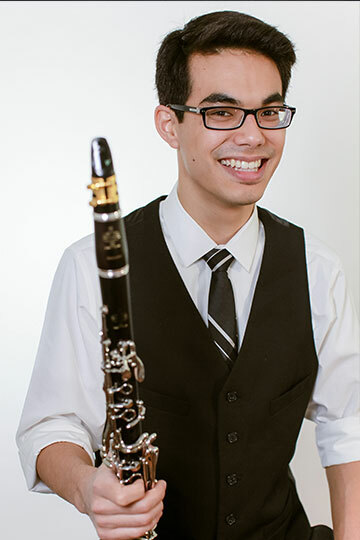 Named an inaugural Zarin Mehta Fellow in 2014, Sean performed with the New York Philharmonic in January 2015 through a partnership with Music Academy of the West. In addition to his orchestral appearances, Sean has been featured as a soloist with the National Repertory Orchestra, the University of Michigan Philharmonia, and the Cole Conservatory Orchestra. During previous summers, Sean held fellowships with the Tanglewood Music Center, Spoleto Festival USA, Music Academy of the West, The Banff Centre, National Repertory Orchestra, and AIMS Graz. Sean pursued postgraduate studies at Rice University’s Shepherd School of Music and received his Bachelor of Music degree with Highest Honors from the University of Michigan in Ann Arbor. His primary teachers include Richie Hawley, Daniel Gilbert, Chad Burrow, and Yehuda Gilad.